Global internship opportunities offer guided experiential learning designed to enhance cultural understanding in global healthcare settings. Selected issues and problems of the people and healthcare delivery are explored within the global context to broaden student knowledge of the challenges. Course details: This 3 week internship will immerse you in the Peruvian culture while providing health care in clinics and local hospitals. Also there will be opportunity for health education among the indigenous Qeros and other local communities. 3-week internships in winter session. Students shadow physicians and see the European healthcare system first-hand. The class compares universal healthcare to the US system. Winter 2019, I plan to lead a program to Athens, Greece. Course details: The program will provide shadowing of physicians in hospitals for 3 weeks. Students will obtain about 75 shadowing hours. Course details: Exploring healthcare development. This 2-week, 3-credit study abroad program offers an innovative, budget-friendly exploration of global health and healthcare. Course Details: This 5 week, 6-credit study abroad program will allow for immersion in public hospitals and maternity obstetric units throughout the Western and Eastern Cape. In addition you will follow in the footsteps of Nelson Mandela from birth to imprisonment, to his adult home. All allowing for immersion in a beautiful and diverse culture that will allow for an understanding of the communities and people you will work with. There will also be community engagement providing health education. Non-nursing students accepted. This 2-week, 3-credit study abroad program offers an innovative, budget-friendly exploration of global health and healthcare. Course Details: A 5 week, 6 credit study abroad that will explore the comparison of the US and South African health care systems. You will be immersed and spend time in public clinics and hospitals where there are often no doctors. There will also be community engagement. Nursing student Claire O’Connor joins International Scholar Laureate Program delegation. 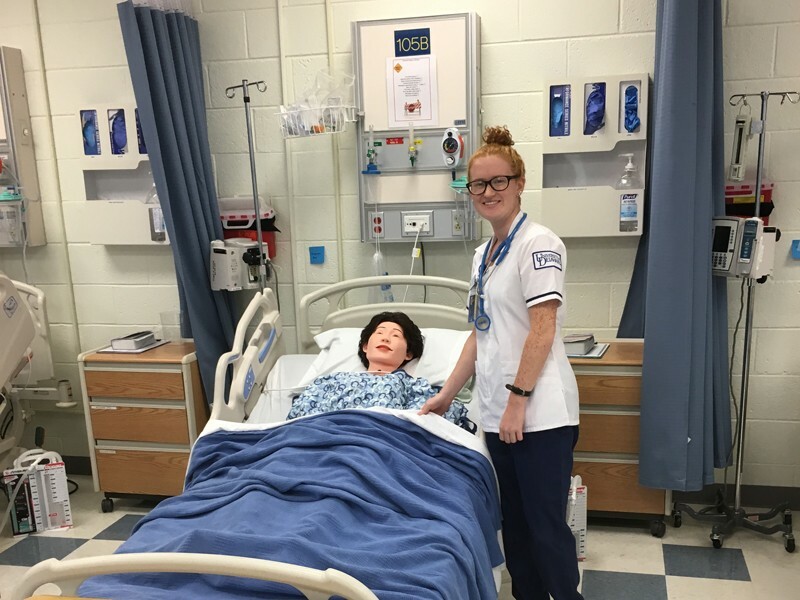 Claire O’Connor learned about the Australian healthcare system, the workings of its universal healthcare system and how the nursing shortage is affecting healthcare. Read more about her journey!